2,190.9 miles, six months, nine pounds, 36 liters, and now we’re here. 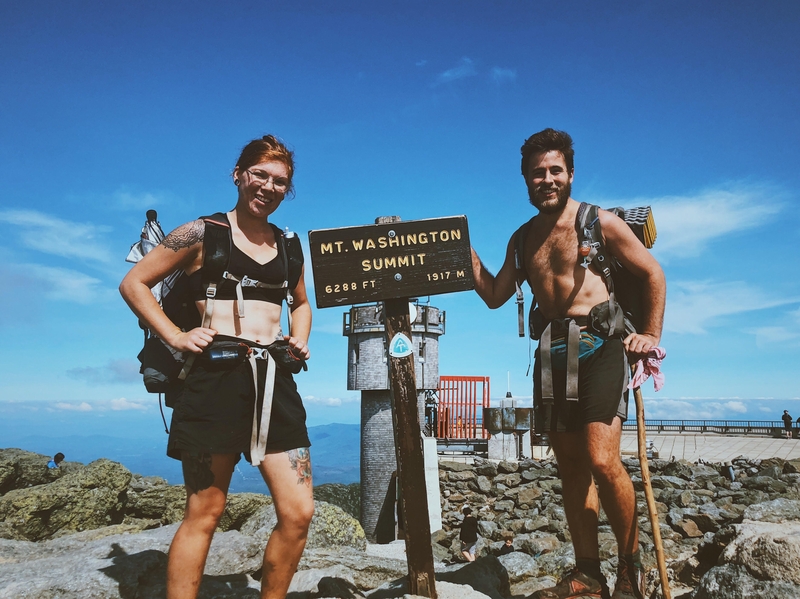 You guys know that I had a blast falling into the gear vortex and putting together my original Appalachian Trail gear list. 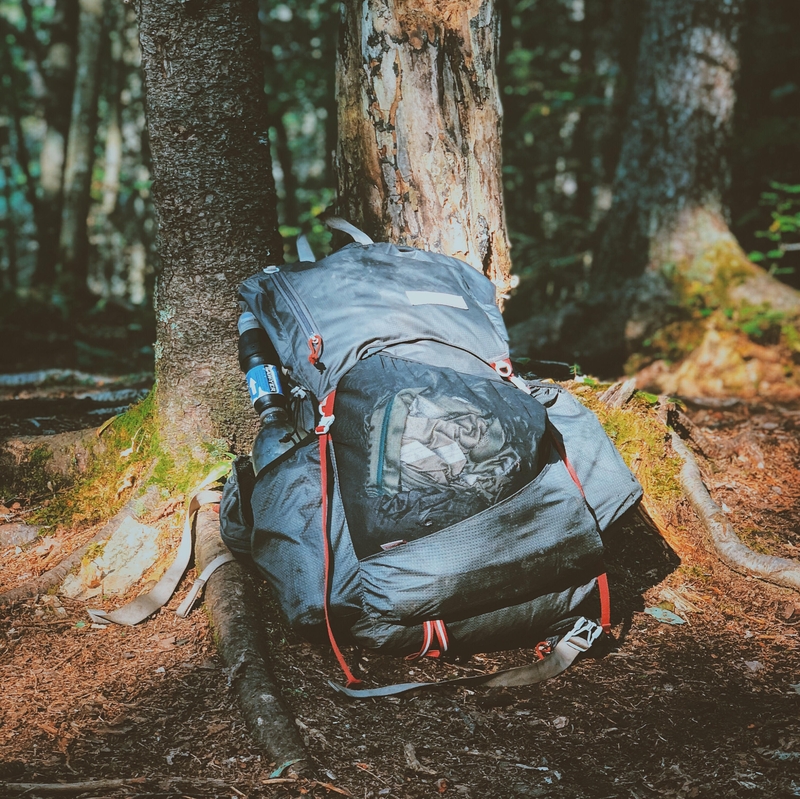 I started the trail with a simplified pack, not just to keep the weight down, but to try to avoid spending money on things that I ultimately wouldn’t need. That worked out well overall, but there were still things that I sent home almost immediately, and a few items that I picked up along the way. 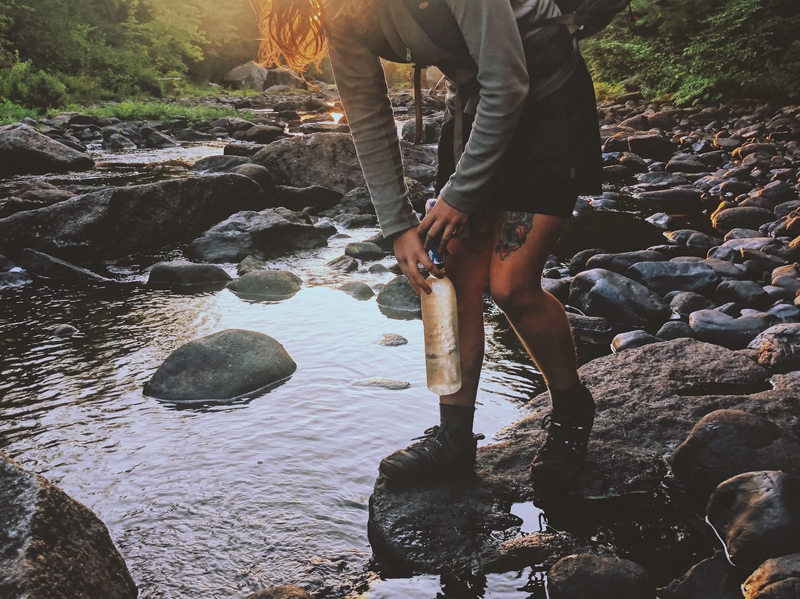 For a detailed list with things like my water bottles, toiletries, or the multitool that I didn’t touch once and have nothing to say about, check out my LighterPack. This pack was all I needed on trail. Each component of this pack felt so thoughtfully designed. I never had to take it off to get my rain gear, water, snacks, umbrella, or phone. I didn’t even have to take off my pack when going to the bathroom (I cannot tell you how much joy this brought me). I often found myself forgetting to take my pack off during breaks, considering how light it was and just how convenient it wast to have on. My favorite aspect of trail life was its simplicity, and the simplicity of this pack made fulfilling my most basic needs that much… simpler. This tent is a tank. It got us through insane winds, snow, hail, and a handful of crazy storms that concluded with everyone else’s tent flooding while we were still dry. By the end of the trail, of course, the waterproofing had worn away, and we did wake up in puddles few times. We laughed those mornings off, though, and I’m happy we had the chance to live in this thing. I absolutely love this quilt. It might smell terrible after the months of abuse, but it’s still in amazing condition. No holes or tears, and minimal feather molting. The lowest temperature I encountered with this quilt was 12 degrees. I didn’t sleep much that night, but this thing kept me alive. It snowed each week from the day we started at Springer until the end of April. By the time everyone was supposed to start sending home their winter gear, no one was feeling very trusting of the weather. I was so skeptical that I ended up keeping the 20-degree quilt for the entirety of the hike. Temperatures were dropping so low each night that I had to grab a bag liner by the time we got to Neel Gap. I ended up keeping it to sleep with on the warmer nights by itself. I did love this sleeping pad, but I have to admit, these things don’t seem to last long at all. Literally every person I met on trail with this pad had issues with it. Holes, slow leaks in the valve, or even the dreaded bulge. But damn, was it comfortable while it lasted. I actually found out my pad had a slow leak in the valve after two weeks on trail, on the night of a major snowstorm no less. Instead of working out the logistics to get to an REI to get it replaced like a responsible hiker, I opted to wake up and plank over my sleeping pad to reinflate it three to four times per night for the rest of the hike. Ideal? No. Recommended? Also no. I don’t understand my reasoning to this day. Super light, super comfy, and made it to the end of the trail without a leak. These saved my sleep cycle and sanity combined on too many occasions. Gotta represent. This thing lasted over 1,400 miles and barely lost a stitch. These things are great. They took a hell of a beating, and the crotch is being held together by a literal thread at this point, but I can see why these are everyone’s go-to hiking shorts. I did have to buy some yoga shorts to wear underneath, after looking down one day to realize that my thighs were bleeding from chaffing alone. I had to wear a pair of Nugget’s undies to make it into town. Beware of the rub, ladies and gents. Made it to Mount Washington with nice weather, 360 views, and no line. Yes, really. Lasted the whole hike and is still wearable today. Disclaimer: I purchased these shoes myself, but I did end up becoming an affiliate for Xero Shoes after hiking in them. I hiked the entirety of the trail in “barefoot” shoes. It was an incredible and informative experience for me, and I will be writing a more in-depth about those experiences soon. I tried a variety of barefoot shoes, and I summited with a pair of Prios from Xero. 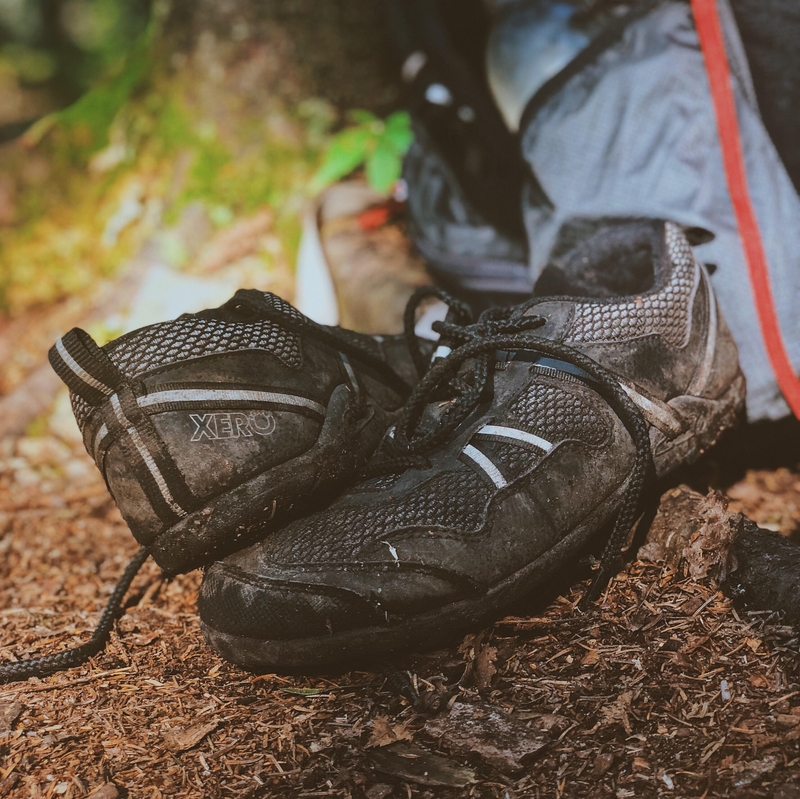 They withstood the rough terrain from the Whites to Katahdin, were the most affordable barefoot shoes that I tried on trail, and allowed my feet to remain true to their natural movements throughout my hike. Yep. They’re socks, and they’re tough. I only ever needed to carry two pairs at a time. I absolutely love this fleece. It kept me warm even when everything was soaked, and I rarely needed more than this and my rain jacket combined. I’m pretty sure I ended up wearing this jacket every single day. Rain, snow, wind, or hail. When it was cold I would just put this on over my tank top and hike for warmth. Even when it wasn’t cold, I’d put it on at camp just to keep the bugs away. It lost its ability to repel water by the end, but it was awesome watching its minty green color change to match the mosses at the hike went on. The rain skirt was a total game-changer. This, combined with my umbrella, was enough to keep me as dry as one can be on the AT. When everything was wet after some rain, I’d fold it into a little sit pad to keep the buns dry. I debated long and hard about adding an umbrella to my pack. After getting one, I genuinely couldn’t imagine going back to my pre-umbrella days. 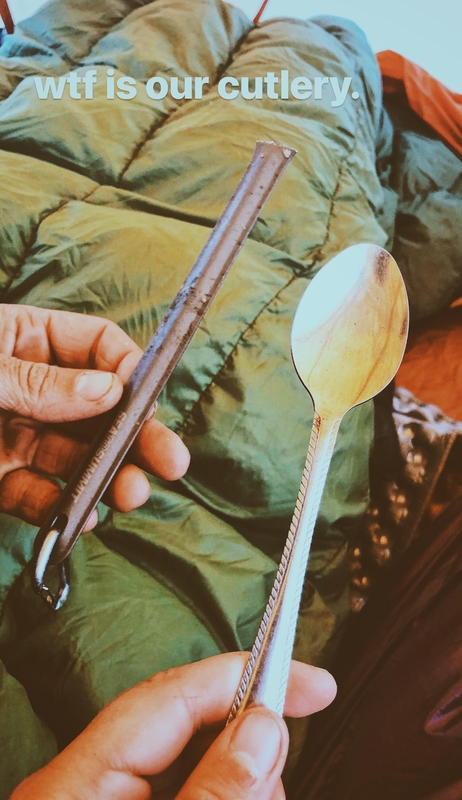 We all know that you’re going to get soaked on the Appalachian Trail, but this umbrella is worth its weight because of the sanity it provides during downpours. Nothing will keep you dry, but this keeps you from being directly pelted in the face/head with rain for days on end. That’s life-changing. Aside from that, I got to use it for shade in the hotter spots on trail, and for some privacy in the sections where you can’t escape the sight of others while digging your cat hole. The umbrella is an absolute game-changer. I didn’t use this as much as I thought I would, but I really enjoyed it when trying to warm up in the beginning of each day. I also would use this to make a mask-type thing with my beanie while sleeping on the colder nights. Love this thing. When it wasn’t quite cold enough for the rain jacket, I’d just put this on and be fine. 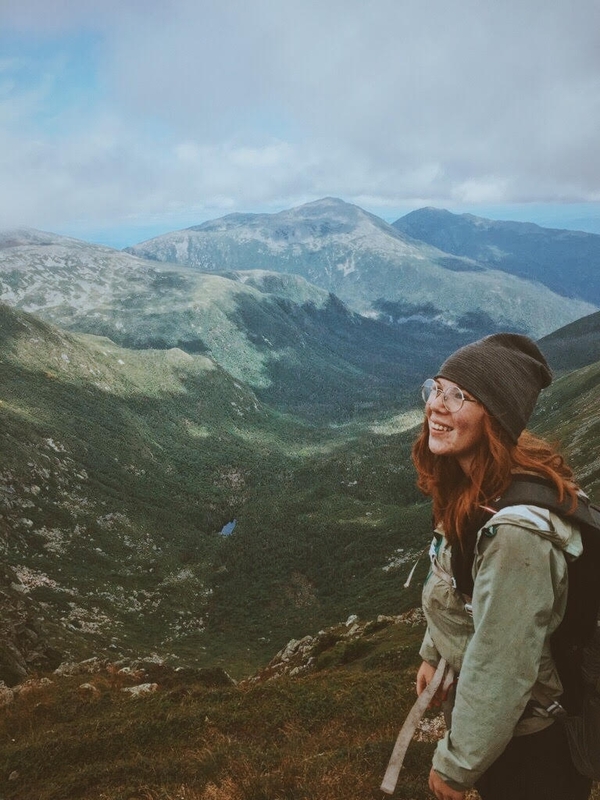 I had a bout with hypothermia three days into our hike because I let my hair get wet, so I’d put my hair in a bun and then put my beanie on when it rained. It worked well. Made it home charred and happy. This thing survived numerous drops, campfires, and ramen bombs without so much as a dent. Lasted the entire hike before I lost it somewhere in the 100-Mile Wilderness. Whoever found it, you’re welcome. Also, those 110 gram fuel canisters last so long. I think I bought three total while using it to cook every night. So I lost that Sea to Summit Spork pretty quickly. Ate with sticks for a few days before heading into town to find a replacement utensil. While waiting for a hitch, I see a spoon lying in the road. “Hell yeah, the trail provides.” As I’m heading toward it, I watch a big red truck run over the spoon. I run to its flattened little form, scoop it up, and take it into town to wash it off. I loved that Roadkill Spoon. I carried it for over a 1,200 miles before losing it as well. In my mourning, I decided I wasn’t ready to love another spoon like I did Roadkill Spoon, so I bought a four-pack of spoons for 88 cents at Walmart. My favorite filter. Keep an eye on those O-rings, though. To everyone that asked what kind of camera set up I carried on trail, here ya go. Photography is my profession off trail, and a form of expression that I cherish in my daily life. 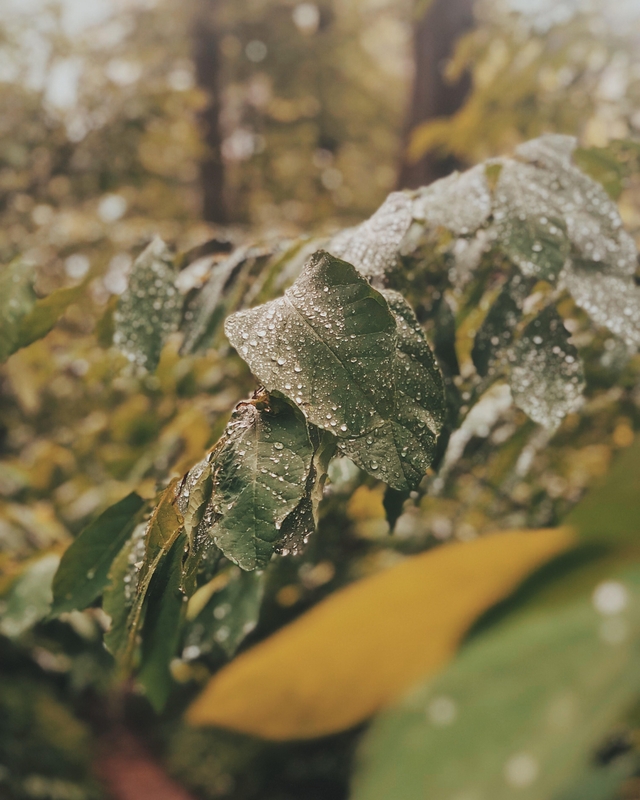 I struggled with growing disenchanted with photography before leaving for the trail, and decided that I’d use the opportunity to step outside my comfort zone. I left my camera behind, and sought out to rekindle my passion for capturing life’s moments as they are with the most basic setup I could think of. An iPhone. I’m grateful to say that it worked. This thing was perfect for me. I was usually running on empty by the time we got into town, but that just made me more intentional with the way I used my phone on trail. I had to really be sure that I wanted to take that picture, listen to that podcast, or call that person. I also got to practice memorizing the water sources and mileage to each of the shelters, before my desire to check the maps went away all together. I always got there whenever I got there. All in all, that’s the bulk of my pack. 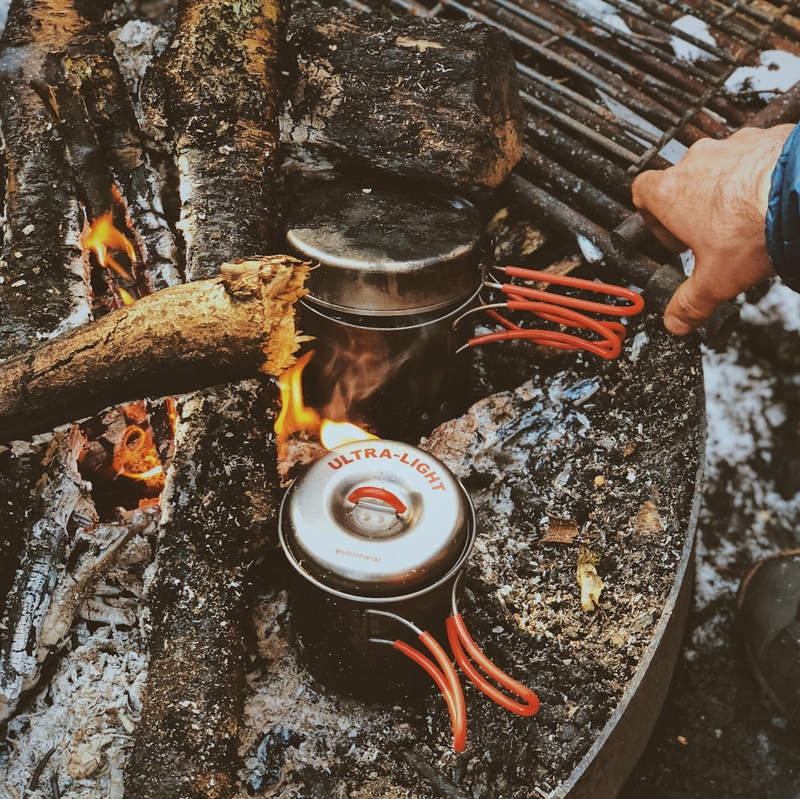 When summer finally came around, I sent home my merino base layers, Ghost Whisperer, the little down booties from Enlightened Equipment, and the PossumDown Gloves. When the droughts were over I gave away my 2L bladder and felt comfortable just carrying two 1L water bottles. This post isn’t a recommendation list, it’s a list of the items I found that were perfect for me. 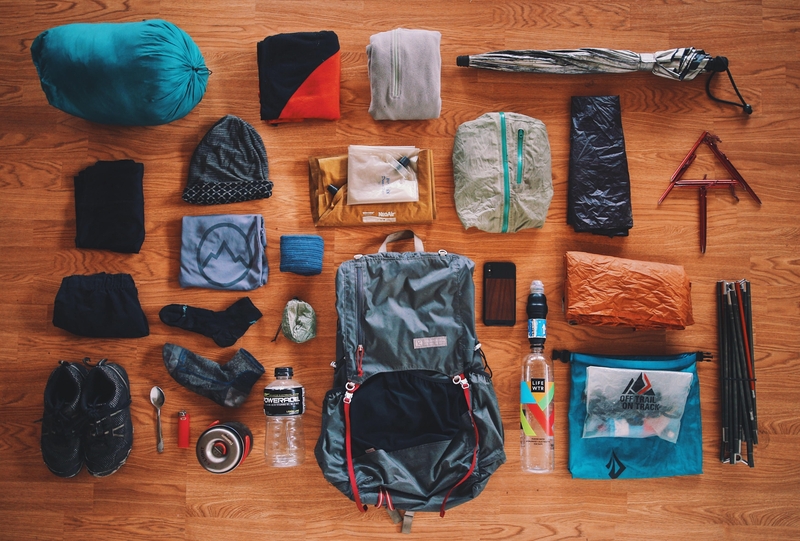 No matter what gear you settle on before your hike, you’re likely going to end up changing some things as your journey changes. Have fun anticipating the things you’ll need, be adaptable when situations change, and be grateful when you find what’s perfect for you. In loving memory of Roadkill Spoon. I wanted to love the kumo and although its labeled as unisex, that sternum strap sits no where near the sternum on myself and the adjustability is totally useless as it doesn’t adjust in the right direction. It looks like you just use the pack anyways even though it doesn’t sit in the correct spot for you either. Was that comfortable? Useful? I had given up on the pack because it doesn’t fit correctly, but maybe it doesn’t matter? Thanks for sharing your list with everyone Kelsey! This is good information to keep in mind when packing for the AT. I need to get a few of these items for my pack soon. Roadkill spoon, very very funny. Hi Kelsey. I just linked your article about My life in 36L, in response to a news story about the Canadian military now (in 2019) allowing female personnel to have ponytails, go bare legged and wear flat shoes. So much of our lives is made up of pointless formality and doing what we are “supposed to”. Was wondering – it is now mid-April, what have you been up to and how are you doing living a simple but comfortable and practical life. Hope all is well.